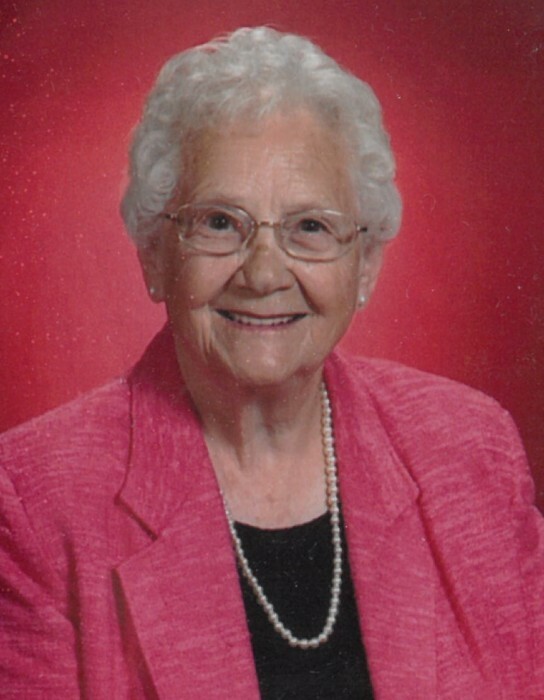 Irene Rose Haskovec, age 95, of Protivin, Iowa died Friday, March 29th, 2019, at Accura Healthcare of Cresco. A Mass of Christian Burial will be held at Holy Trinity Catholic Church on Friday, April 5, 2019, at 10:30 a.m. with Father Aaron Junge officiating. Burial will be in Bohemian National Cemetery. Visitation will be held on Thursday, April 4, 2019 from 4-7 p.m. at Hindt-Hudek Funeral Home in Protivin, IA, and will continue at the church for one hour prior to the service on Friday. Irene Rose Macal was born on January 24th, 1924 to William and Rose (Lukas) Macal on the family farm near Ridgeway where she lived and went to the country school through the 8th grade. On June 23rd, 1941she married Leonard Haskovec in Cresco, Iowa. To this union 5 children were born. Irene and Leonard lived in the Protivin area all their married life, eventually settling on the family farm. Leonard passed away on January 12th, 1980 at the age of 63. Irene lived on the farm until 1995 when she moved to Protivin. Irene worked various jobs and made many friends. She liked to read and “loved” to play cards, enjoyed an occasional trip to the casino and was an avid walker. Irene embroidered many pillow cases and dish towels that were gifts for her granddaughters. She was the “go-to” lady to drop off cucumbers for making her Czech Day pickles. Irene is survived by her children Doris (Joe) Andera of Titusville, Florida, Ken (Polly) Haskovec of Cresco, and Elaine Waterman (Greg Cantwell) of Thornfield, Missouri, daughter-in-law Denise Haskovec (Frank Wensel) of Knoxville, Illinois, her grandchildren Michele (Randy) Wingard, Joey Andera, Ron (Jenny) Haskovec, Kris Haskovec, Melissa (Jason) Woods, Rachel (Nick) Ackerman, Kerri (Dan) Johannsen, Samantha Haskovec, Adam (Millie) Waterman, Anna (Doc) Smith, her great-grandchildren Katie and JoshWingard, Danny Haskovec, Austin, Kaitlin, and Justin Haskovec, Tatianna, Xavien, Brecken, Zekyan Woods, Mason, Grayer, and Griffin Ackerman, Milo Johannsen, Sierra, Justice, and Dakota Waterman, Emilee and Quincy Smith, her sister Helen (Henry) Schwartz of Seattle, Washington, sisters-in-law Doris Macal of Cresco, and Imogene Macal of Decorah. Irene was preceded in death by her parents, her husband Leonard, two sons Ronald in 1975 and Joseph in infancy, father and mother-in-law James and Stella (Sobolik) Haskovec, her sisters Agnes Hellen and Evelyn Kovarik, her brothers William Jr. in infancy, Roy Macal, and Leonard Macal, her brothers and sisters-in-law Gerhard Hellen, Victor Kovarik, Earl and Helen Reihle, Tony and Bessie Snyder.